Push Up is a classic, short, shake-and-go synthetic shag! - Front: 2.75", Crown: 3.5", Sides: 2.25", Nape: 2"
Anna K. Reviewed by Anna K.
The wig that I ordered is not the same structure and/or length as the one featured on the website. It looks completely different than in the video that is on the website associated with the product. i am completely disappointment. I returned the wig because it was so big on my head. It did not come in a petite so I ordered a petite Jazz and a Petite Natalie. They both fit great. I would have loved the Push Up if it had fit my head. It was really nice. I appreciate the prompt return support and the quick delivery of the exchanges. I love Ellen Willie wigs, the caps are so comfortable and the density of the hair is so realistic. This is my sixth wig by this brand, 4 are the straight smooth bob styles which I love. This one and Open were the more textured layered styles which I have not worn before. Having had straight baby fine hair that laid flat against my head these styles are quite a step out of my comfort zone. I love the way Push Up looks and feels. It is so light and will be great for hot humid Louisiana weather. I am finally getting brave enough to use some styling products and this wig can be styled so many cute ways. I am so thankful for the great videos that show this wig on someone and what to expect when you get her out of the box. Thanks Heather for the very helpful information that takes a lot of worry out of purchasing on line. 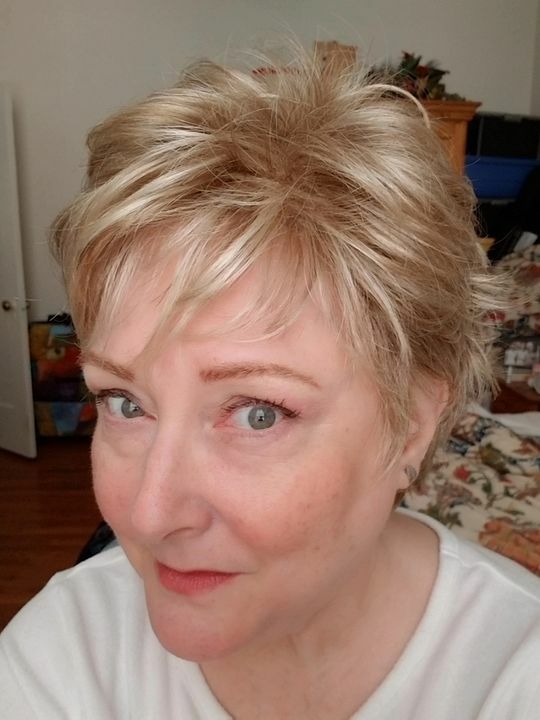 This 70+ is thrilled with her new short summer hair! I LOVE this wig! The feel of the fibers is so soft and real. The color is perfectly warm and ashy at the same time. The cut is brilliant! Always always looks perfect, rain, shine, wind - it is even more amazing when ruffled. I'd order it again and again. It's comfortable, sporty, stylish, and I forget I even have it on!! !